There are 22 returning players in the 2015 season, a new Whitecaps FC record for their time in Major League Soccer (“MLS”). Our captain, Pedro Morales, was the 2014 MLS Newcomer of the Year, goalkeeper David Ousted led the league in clean sheets, Matias Laba led the league in tackles, and Kendall Waston averaged the most clearances per game and eventually scoring the goal that sent Whitecaps FC to the playoffs. Fan favourites also include Mauro Rosales, Gershon Koffie, Kekuta Manneh, Russell Teibert, and many more. 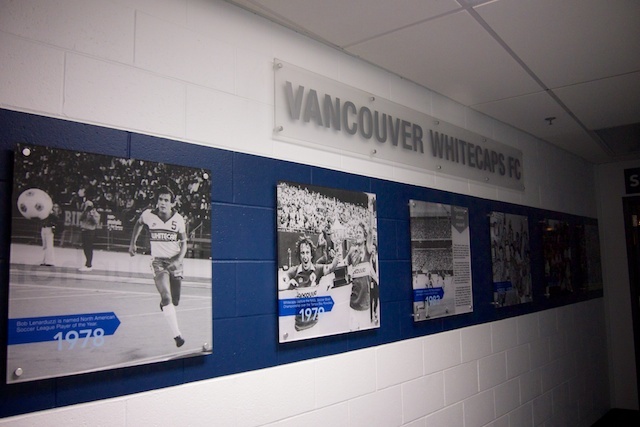 The Whitecaps brought in six new players, including Uruguayan striker Octavio Rivero, and they also have 8 homegrown players – the most in the league – supporting and growing Canadian talent. We also have Whitecaps FC 2, our new USL team that will be playing out at UBC. The Whitecaps won the Cascadia Cup for the 5th time (a trophy presented by the supporter groups in Vancouver, Seattle and Portland), and they’ll be defending their title during the regular season but on top of that, they will also play matches in for the Amway Canadian Championship (“ACC”) and the CONCACAF Champions League. The ACC involves all of Canada’s five professional clubs, including FC Edmonton and Ottawa Fury FC who play in the North American Soccer League. 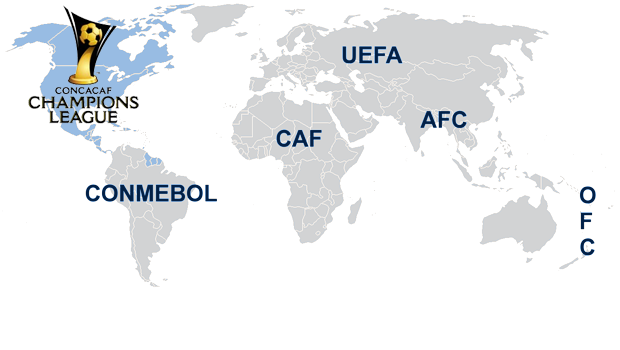 Vancouver will also get the chance to represent Canada in the 2015/2016 CONCACAF Championship League, involving the champions of countries in North America, Central America, and the Caribbean. MLS welcomed two new teams this season, NYC FC and Orlando City Soccer Club. Much-talked about players set to face off against Vancouver this year include Spanish World Cup-winning striker David Villa (NYC FC), Steven Gerrard (coming to LA Galaxy this summer), Frank Lampard (coming to NYC FC this summer), Sebastian Giovinco (Toronto FC), Jozy Altidore (Toronto FC), Kaka (Orlando City SC away only), and more. Of course it’s always exciting when our Cascadia rivals come to town. Vancouver will play Portland on March 28th, Seattle on May 16th, and Seattle again on September 19th. This morning BC Place announced their food and beverage lineup for their concerts, events, BC Lions games and Whitecaps FC matches this season. New craft beer options include Vancouver’s Parallel 49 Filthy Dirty IPA, Steamworks Pilsner, Central City Brewing Red Racer IPA, Stanley Park Windstorm, and the return of staples like Budweiser, Kokanee, Shocktop, Keith’s, Corona, Stella, Bud Lite Lime, Bud Chelada, and Bud Lite Chelada. 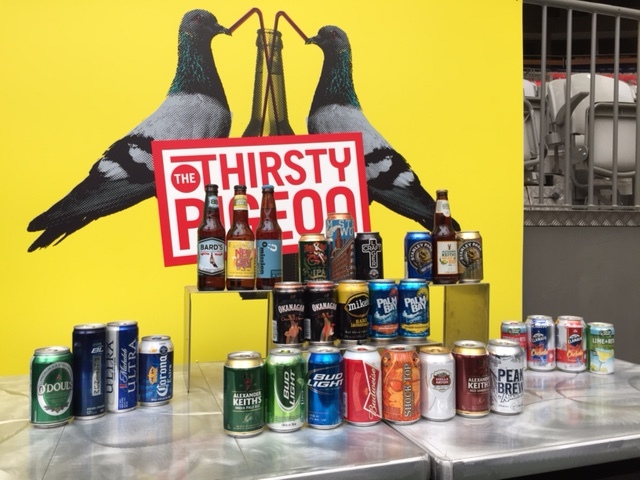 A new craft beer hub, the Thirsty Pigeon, will have 20 options while concessions around the stadium will offer a varied assortment. New food options come from a permanent Vij’s concession area that will serve up Creamy Chicken and Chickpeas with Cilantro, Vegetarian Navy Bean Curry with Kale and Garam Masala, and Sirloin Beef and Spinach Curry. Other concession food choices will include multigrain quinoa salad, garden greens, assorted sushi, cheese and charcuterie plates, cold smoked BC sockeye salmon and shrimp on a bagel, Montreal smoked meat paninis, grilled vegetable paninis, honey lager sausage on a pretzel bun, BBQ chicken leg, bacon burgers, Oceanwise halibut burgers, vegetarian poutine, chicken poutine, steamed pork dumplings, bacon fried rice, and more. We had 11 sold out matches last year with over 20,000 average attendance, which is 4th best in the league – not too shabby! 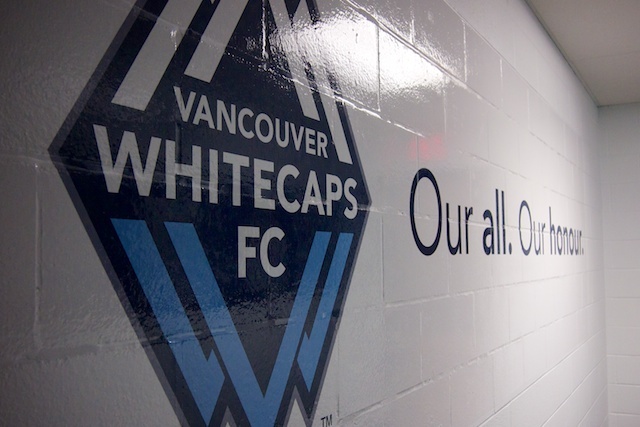 The Whitecaps also have 3 official supporter clubs, which are groups of fans that come together socially to cheer on the team both at home and on the road. These are the Southsiders (established in 1999, the largest organized supporters group in Canada); Rain City Brigade (2010) and Curva Collective (2011). Located mostly in the south end of BC Place, all of these groups stand, chant, and sing for a full 90 minutes. They all have home bars (including family friendly restaurant partners), and create their own tifo (which is choreographed fan displays, like banners and flags). Even if you’re not a part of a supporter club, you’ll love the atmosphere at BC Place, especially on a day like tomorrow when the roof will be open with the sun shining in. Fan-led chants pump up the action on the pitch as our boys in blue and white play for our city with all of their hearts. Those are my top reasons, although I could even mention the history of the club (since 1974), the coaching and front office staff, the community outreach championed by Carl Valentine, the best anthem singer in the league (Marie Hui), and the support of families and young players — after all soccer is the most widely-played sport by kids in Canada with over 750,000 kids playing on organized teams. Check out the full Whitecaps FC schedule online, read the spectator guide, and please join us for a match at BC Place this season.